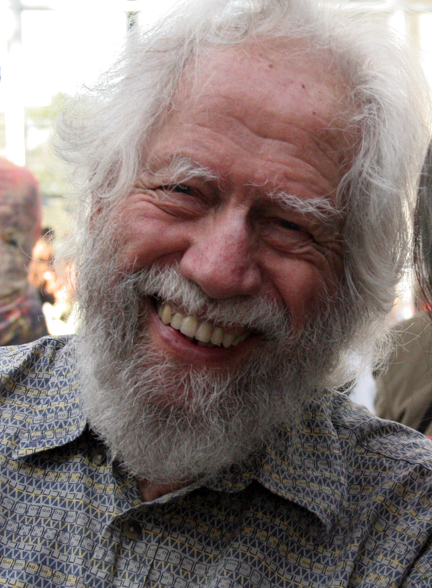 We’re sure that most readers of Points are already familiar with Sasha Shulgin and are aware of his passing on June 2. But the death of the man responsible for popularizing MDMA in the United States cannot go unremarked upon, especially as the slew of related news reports are bringing up important questions about the drug’s therapeutic use. Editor’s Note: Tom Roberts’ The Psychedelic Future of the Mind: How Entheogens are Enhancing Cognition, Boosting Intelligence, and Raising Values is due out this month from Inner Traditions-Bear & Co. in Rochester, Vermont. Editor’s Note: Michael E. Staub’s Madness is Civilization: When the Diagnosis Was Social, 1948-1980 (University of Chicago Press, 2011) is bedecked with a number of favorable comments at its Amazon storewindow site. Staub’s previously authored books include an oral history, titled Love My Rifle More than You, about a woman soldier who served in Iraq in 2003 and 2004. The author suggested this work might also interest drug and alcohol historians. In my home country, The Netherlands, Santa Claus does not come for Christmas. By then he has already left. Santa Claus comes every year to the Netherlands to celebrate with us his birthday on 6 December. A few weeks before his birthday he sets out from his home in Spain by sea, on a steamer (he has arrived a week ago). 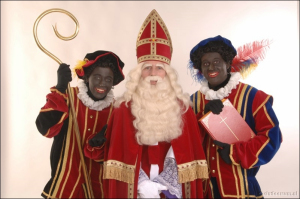 Santa Claus is accompanied by his assistants, the so-called Zwarte Pieten, or ‘Black Petes’. What is rather strange about Zwarte Piet or Black Pete is that his skin actually is black. To some this is offensive. To these people the fact that Santa Claus’ assistant (not himself) is a black person is a racist trait, a legacy from the age of slavery. The first appearance of the modern incarnation of Zwarte Piet in Dutch popular culture seems to date from around 1850, when slavery still existed in the Dutch colonial empire and when black slaves still worked the plantations in Dutch Suriname in the Guianas. Other interpretations seek the origins of Zwarte Piet in a more distant past. Might it already be a surprise to many children and their parents to learn that Zwarte Piet could actually be a Surinamese slave, it might be even more surprising for them to learn that he could be the descendant of a psychoactive plants or mushrooms consuming Germanic warrior. Today Points welcomes Netherlander guest blogger Wim Best, PharmD. and registered toxicologist (ERT). He started his career in the pharmaceutical industry and has held positions both in Quality Assurance and Control and Regulatory Affairs. He now works for the Healthcare Inspectorate of the Dutch governmen, where he is responsible for controlled substances. Since 2009 he has been active as a forensic toxicologist dealing with crimes possibly committed under the influence of drugs or medicinal products, and since 2010 he has served as an honorary investigator at Maastricht University, Faculty of Psychology, Dept. of Psychopharmacology. 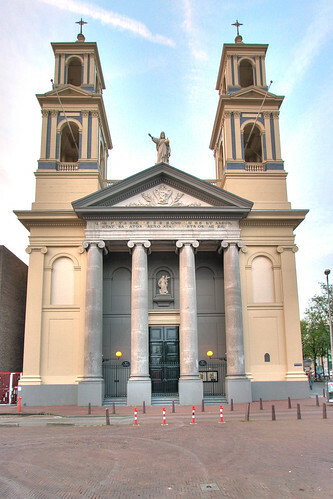 A hundred years after the first International Opium Convention in The Hague and the discovery of MDMA in Germany, Amsterdam hosted the Third Interdisciplinary Conference on Psychedelic Research organized by the OPEN Foundation. The conference lasted two days, during which speakers and public discussed research, experiences, new ideas and philosophical approaches. Before I start about the conference, let me introduce the OPEN Foundation. OPEN is an interdisciplinary initiative, started around 2006, the year Albert Hofmann celebrated his 100th birthday. Its aim is to stimulate research regarding all facets of the psychedelic experience. How? Well, by organizing lectures and conferences and spreading honest information on both the potential and the risks of psychedelics. Furthermore the foundation hopes to lessen the stigma that is still part of researching psychedelics and hopes to awaken the interest of researchers. And last but not least it wants to create a virtual meeting place for all students that are interested in doing research. Editor’s Note: Where do philosophy, LSD, and AA-style recovery meet? 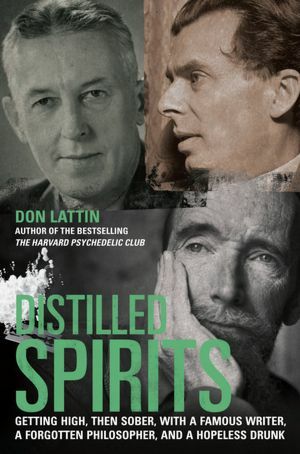 Journalist Don Lattin explores the nexus in his latest book, Distilled Spirits: Getting High, Then Sober, with a Famous Writer, a Forgotten Philosopher, and a Hopeless Drunk (University of California Press, 2012). His bestseller, The Harvard Psychedelic Club: How Timothy Leary, Ram Dass, Huston Smith, and Andrew Weil Killed the Fifties and Ushered in a New Age for America (HarperOne, 2010), garnered high critical praise. The “redemptive power of storytelling and the strength of fellowship,” Lattin observes below, were two of the lessons learned from writing this new book. Bill W.’s experimentation with LSD offers a suggestive historical interface between Wilson’s personal struggle with alcoholism and the drug culture of the Sixties. Points warmly welcomes Lattin to its growing cache of book author interviewees. BTW, “distilled spirits” — get it?